In an opening statement at the hearing Wednesday on reforming “Broadcasting Board of Governors: An Agency ‘Defunct’,” the Chairman of the House Committee on Foreign Affairs, Rep. Ed Royce (R-CA), made a clear distinction between the Voice of America (VOA) and surrogate broadcasters, such as Radio Free Asia (RFA) and Radio Free Europe / Radio Liberty (RFE/RL). He also welcomed Ambassador Victor Ashe, the only sitting BBG Governor who was present in the room among the audience. The witnesses at the hearing were: former BBG Chairman James Glassman and former BBG Governors, S. Enders Wimbush and D. Jeffrey Hirschberg. Ranking Member Eliot Engel (D-NY) said that many members of Congress “are concerned about the consistently low morale among employees at the BBG. Year after year, federal surveys show that the BBG ranks among the bottom of all federal agencies in terms of job satisfaction.” Rep. Engel was referring to the Office of Personnel Management (OPM) surveys showing that the management of U.S. international broadcasting, consisting largely of top executives of the International Broadcasting Bureau (IBB) headed by Director Richard Lobo and Deputy Director Jeff Trimble, is rated as being among the worst in the entire federal government. Link to Ranking Member Eliot Engel Opening Statement at Hearing, “Broadcasting Board of Governors: An Agency ‘Defunct’. Speaking at the conclusion of the hearing, Rep. Ileana Ros-Lehtinen (R – FL) called for replacing the agency’s management in charge of international broadcasts and other news programs. She said that managers who do not understand what U.S. international broadcasting mission is should be changed. Rep. Ros-Lehtinen read the Broadcasting Board of Governors’ mission statement which says that the agency’s purpose is “To inform, engage, and connect people around the world in support of freedom and democracy.” She put emphasis on “support for freedom and democracy.” Link to Rep. Ileana Ros-Lehtinen – management of U.S. international broadcasting needs to change. We applaud Chairman Royce, Congressman Engel and Congresswoman Ros-Lehtinen for expressing these view and for holding the hearing on U.S. international broadcasting. BBG Watch believes that Chairman Royce’s statement is not going to sit well with those in Washington who deny that Voice of America has a different mission on behalf of the United States than the missions of various surrogate broadcasters. Those who claim that there are no longer any significant differences include S. Enders Wimbush, a former BBG Governor, one of the witnesses at the hearing who was the strongest supporter of merging all U.S. international broadcasting into a single private entity. 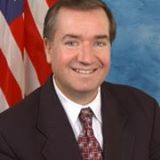 U.S. REP. ED ROYCE (R-CA) “While the Voice of America aims to provide listeners with objective news and information about United States foreign policy, the so-­‐called “surrogate” broadcasters such as Radio Free Europe/Radio Liberty beam news into closed societies, offering information those citizens are otherwise denied. Each broadcasting service is full of enterprising reporters who literally risk life and limb to expose government corruption or report on human rights abuses. Reporters from these services have been killed. U.S. international broadcasting employees deserve to work under an organization that makes the most out of their talents. FULL OPENING STATEMENT as prepared for delivery. Check the video for actual remarks. Today we meet to discuss how best to reform the Broadcasting Board of Governors, the agency which oversees U.S. international broadcasters such as the Voice of America and Radio Free Asia. Our international broadcasting has a very rich history. East Europeans have told us how critical Radio Free Europe broadcasts were to chipping away at the Iron Curtain, ending the Cold War. That’s an achievement. While the Voice of America aims to provide listeners with objective news and information about United States foreign policy, the so-­‐called “surrogate” broadcasters such as Radio Free Europe/Radio Liberty beam news into closed societies, offering information those citizens are otherwise denied. Unfortunately, more and more, it seems that the structure of international broadcasting clips their wings. Legislation in the 1990s established the Broadcasting Board of Governors as an independent federal agency responsible for all U.S. non-­‐military international broadcasting. Today, the BBG exercises authority over five distinct broadcasting services. Managed by a bi-­‐ partisan, part-­‐time, presidentially-­‐appointed board of nine individuals, “the Board” is supposed to set the priorities and overall strategic direction of U.S. international broadcasting, allocate resources, and safeguard journalistic integrity. But plagued by vacancies and infighting, the BBG has trouble accomplishing any of that. In January, the State Department’s Inspector General depicted an agency with a dedicated staff attempting to serve in a dysfunctional structure. The BBG’s “dysfunction stems from a flawed legislative structure and acute internal dissension,” the report concludes, noting that a part-­‐ time board “cannot effectively supervise” operations. Indeed, Secretary of State Hillary Clinton testified to this Committee that the BBG “is practically a defunct agency in terms of its capacity to be able to tell a message around the world.” She went on to regret that “we’re abdicating the ideological arena.” I agree. broadcast messages that promote extremism and incite violence. The fight against terrorism and other threats to our national security must include a fight against bad ideas. If done well, the payoff of broadcasting is tremendous. With an “information war” underway, U.S. international broadcasting must be as sharp as ever. This includes the broadcast entities themselves. The former head of Radio Free Europe once summed-­‐up their mission this way: “irritate authoritarian regimes, inspire democrats, and create greater space for civil society.” Our goal here is to figure out how to do more of just that.